Whenever our mom made chili when we were younger, we would always pick around the kidney beans that she put in it. We did not enjoy refried beans on our tacos, and we certainly did not eat black beans. 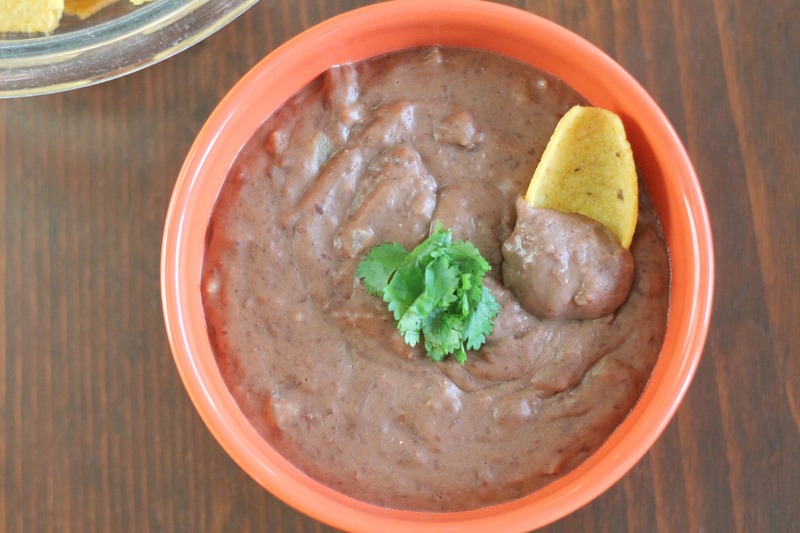 Over time, we have realized that beans are not nearly as unappetizing as they seem to be. While neither of us loves beans in our chili, we do like beans in other applications- black bean burgers and burritos are two of our favorites (I guess our black bean hatred has left us!). 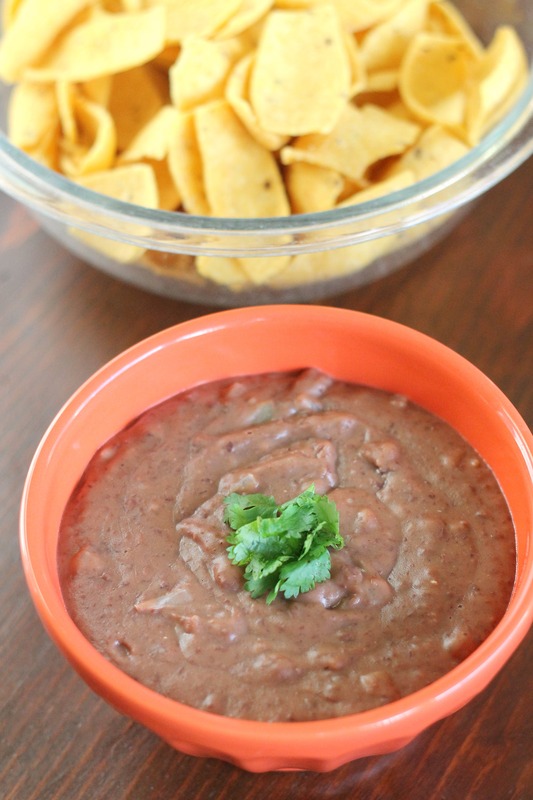 When we were hunting through our pantry recently to get some cooking inspiration, we found a can of refried beans. We remembered that we had seen a recipe for this dip a while back and since we had all the ingredients on hand, we decided to make it. Let’s face it, it isn’t pretty at all. Don’t be fooled by its outward appearance; this is one of the most addictive dips out there. It has a bit of creaminess thanks to the cheese and the sour cream and has plenty of spice. It was delicious served with the Trader Joe’s equivalent to Fritos Scoops. This may not be the healthiest way to eat beans, but it’s at least a little bit healthier than the pimiento cheese dip. Heat the oil in a skillet or saucepan over medium heat. Add the onions and jalapeno, and cook until softened, about 3-5 minutes (stir occasionally). Stir in the refried beans and cook until heated through. Stir in the remaining ingredients and cook until the cheese is melted. Transfer to a bowl and serve hot with corn chips. Enoy!